Heidi Swingley’s strong desire to help people led her to the world of real estate. A successful business owner for over 25 years, Heidi has developed the skills necessary to build and maintain lasting relationships: integrity, reliability, accountability, and honesty. A Montana native, Heidi has lived in Rohnert Park for 22 years and is well integrated in the community. Like so many people, Heidi was drawn to this special area due in part to the strong sense of community and down to earth people. Of course, there’s nothing wrong with this fabulous climate either! When she isn’t helping people find their ideal property, Heidi, her husband of two years, 25 year old son, 17 year old daughter, and sweet six-month-old grandson, love to travel. Be it exploring the backroads of California or visiting Iceland, Heidi and her family hit the road as often as they can. Home is Heidi’s sanctuary. Be it curling up with family cats Wolfie and Moustache with a good book, baking breads and pastries, brewing kombucha, or a Netflix and chill night, Heidi truly appreciates life’s simple pleasures. As a real estate professional, Heidi is dedicated to helping you find your sanctuary, the ideal income generating property, downsize, or move up. 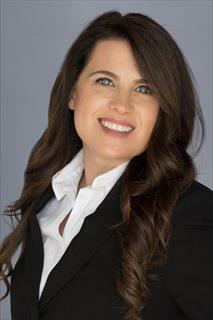 Reach out today and let Heidi guide you through all of your real estate transactions.